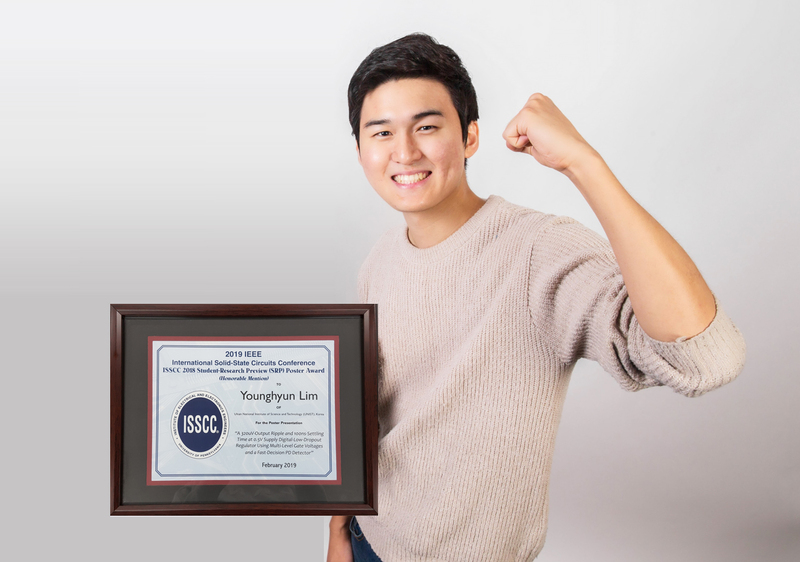 Younghyun Lim (School of Electrical and Computer Engineering) selected as a recipient of the 2018 ISSCC SRP Poster Award. 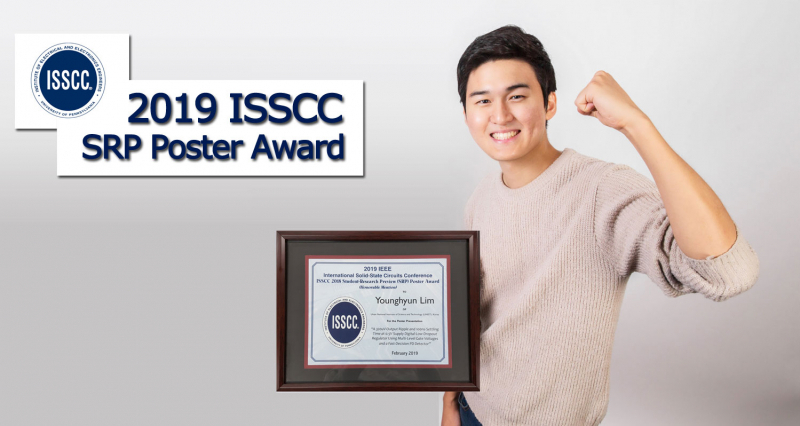 A UNIST graduate student, Younghyun Lim in the School of Electrical and Computer Engineering has been honored for his outstanding poster presentation at the annual IEEE International Solid-State Circuit Conference (ISSCC), which took place from February 17 to 21, 2019. Mr. Lim has been selected as a winner for the 2018 IEEE ISSCC “Student Research Preview (SRP) Poster Award” for his recently submitted paper, entitled “A 320uV-Output Ripple and 100ns-Settling Time at 0.5V Supply Digital-Low-Dropout Regulator Using Multi-Level Gate Voltages and a Fast-Decision PD Detector”. Known as the “Olympic in the field of semiconductor circuit designs”, the International Solid-State Circuits Conference is the foremost global forum for presentation of advances in solid-state circuits and systems-on-a-chip. Every year, ISSCC brings together an incredible range of talented researchers in academia and industry from all over the world to exchange ideas and present results of ongoing research in the most state-of-the-art areas of solid-state circuits and systems-on-a-chip. The ISSCC Student Research Preview (SRP) is an evening student session, which gives Masters and PhD candidates the opportunity to showcase their work and interact with others in the ISSCC community. The session is organized as short presentations of work-in-progress in conjunction with a poster presentation session, by graduate students from around the world, which have been selected on the basis of a short submission concerning their on-going research. Selection is based on the technical quality and innovation of the work. This year’s Student Research Preview at ISSCC 2019 took place on February 17 and was presented in three theme sections: Digital and Machine Learning Circuits and Systems, Data Converters and Clocking, and Analog and Wireless Circuits. Prizes are awarded for the outstanding poster presentations and are recognized at next year’s conference. The above power management circuit, developed by Younghyun utilizes a high-speed feedback loop to increase power efficiency. l Image Credit: Younghyun Lim. This award has been given to him in recognition of this recent research on the “Development of high-efficiency, ultra-low power management circuits for 5G communication.” This study, aimed at improving the power management circuit inside the communication chip, has significantly increased the power consumption efficiency by more than two times, while using only about one quarter of the area of the existing chip. Younghyun Lim (Combined M.S./Ph.D. of Electrical and Computer Engineering, UNIST) has been awarded with the 2018 ISSCC SRP Poster Award. Younghyun Lim is currently pursuing the Combined M.S./Ph.D. program under the supervision of Professor Jaehyouk Choi in the School of Electrical and Computer Engineering at UNIST. Professor Choi’s current teaching and research interests are integrated circuit designs and systems with an aim to develop an ideal semiconductor circuit designs that can improve the performance of electronic devices. Mr. Lim will continue carrying out research on the improvement of power circuit. He has been also involved in various research and industry-academy cooperation projects. 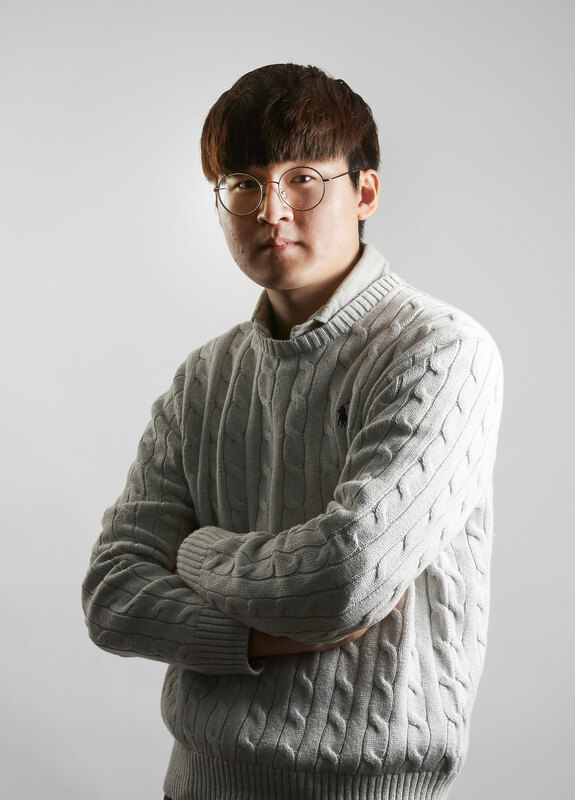 Starting in September, he will move to Silicon Valley and work at Qualcomm as an intern.